For this fireplace the original architect, quite well known but young, proposed hanging the approximately 8,000 pounds of stone from 2×4’s from the ceiling over this three sided fireplace. 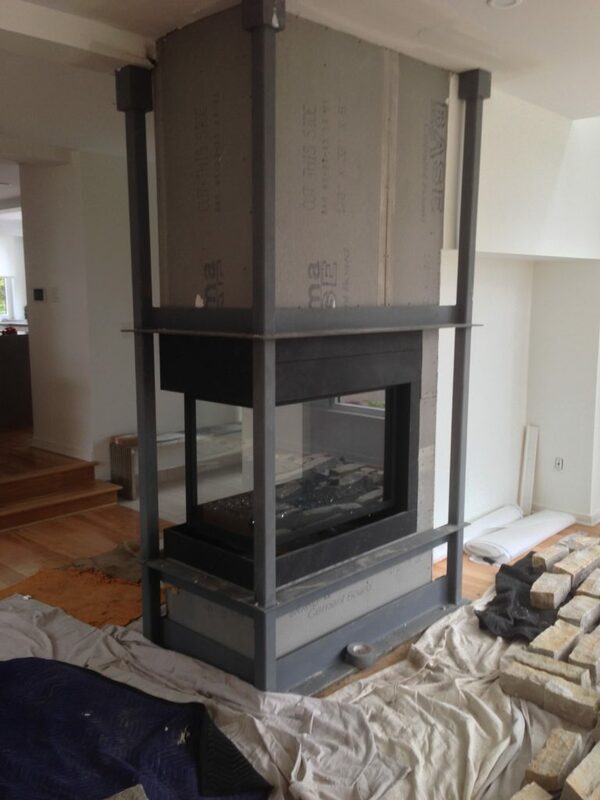 On my advice an Engineer was brought in, who requested the basement be reinforced and a steel structure be built to hold the natural stone around the fireplace. I did the masonry work, needing to cut notches into the backs of the stone to fit onto the steel structure. The client chose the stone.